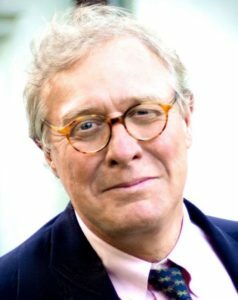 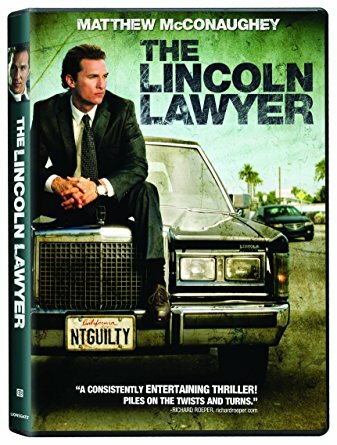 Gavin Scott | An evening with the LA Times, the Lincoln Lawyer’s father and Brighton’s finest. 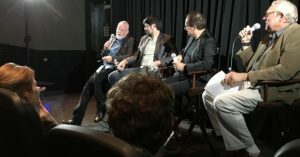 08 Jun An evening with the LA Times, the Lincoln Lawyer’s father and Brighton’s finest. 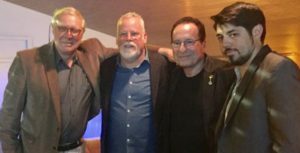 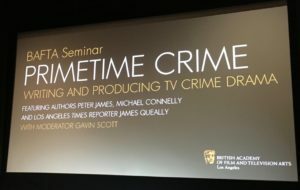 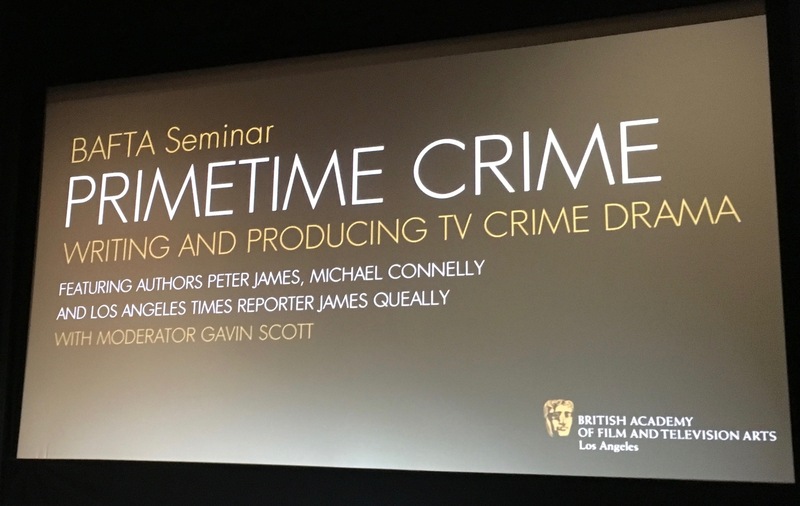 Great evening last night moderating a fascinating BAFTA LA discussion on crime writing for page and screen with ace LA Times crime reporter and short story writer James Queally, 18 million selling UK crime novelist Peter James (who writes the Brighton-based Roy Grace novels), and 80 million selling US crime writer Michael Connelly, creator of Harry Bosch and the Lincoln Lawyer. Needless to say they all got copies of #AgeOfOlympusTitan Books and Mr James began reading it right away!